Statement about the compatibility with X-Plane 11. X-Plane 10 New Zealand Pro will be fully compatible with X-plane 11 and can simply be moved from the old X-Plane 10 “Custom Scenery” environment to the new X-Plane 11 “Custom Scenery” environment. You only need to make sure, that in the new X-Plane 11 scnery_packs.ini the ordering remains correct (as recommended in the installation instructions). This all was possible by using a new data source (and no, this time its NOT OSM!!) from the New Zealand Government, namely LINZ (Land Information New Zealand – http://www.linz.govt.nz). So a big thank you goes to them, for making such great and detailed data freely accessible (which is still not commonplace in the GIS world – and answers the question, if I will make all of the planet in this quality –> NO). 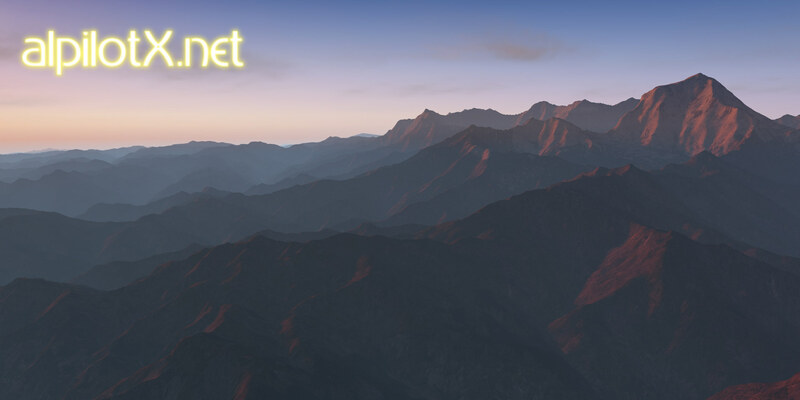 This scenery is for X-Plane 10 only, you must have X-Plane 10.20 or above (as it brings some art assets – textures – in its default set, which NZ Pro uses). And best of all – as always – this scenery is donationware! Which means, you can freely download and use it, and if you like, you might donate for it (and even then, you decide what its worth for you). The X-Plane 10 New Zealand Pro Scenery brings a lot of extra details and eye candy to X-Plane 10 and is as such it puts much more strain on your hardware! If you do already have problems to keep frame rates high with the default Global Scenery, then this add-on might be definitely too much for you. In the simplest case, you just need to unpack this ZIP files, and put the resulting directories (called “zzz_new_zealand” and “zzz_new_zealand_overlay”) in your X-Plane 10 \Custom Scenery folder! If you did everything correctly, you should see similar results like in the screenshots here! If you have any problems, contact me (either via mail or in the many X-Plane forums where you usually find me)! This scenery and most of the artwork (the building objects, and most of the textures) are created by Andras Fabian (thats me). Some of the object textures are also owned by Laminar Research (www.x-plane.com). I was granted a special permission to use them for my sceneries, but any other 3rd party use of them is not permitted! This means, you are not allowed to reuse my farm objects too (as they use in parts Laminar Research owned textures). All data is freeware (donation ware) in the sense that you are free to download, copy and redistribute them for personal and non-commercial purposes, provided that the copyright notice is retained in the copy. You are not allowed to charge a fee for these files without the consent of the author other than that to cover the cost of the distribution. If a fee is charged it must be made clear to the purchaser that these files are freeware and that the fee is to cover the distributors costs of providing the files. You are not allowed to use these files or parts thereof in a commercial product. If in doubt, please contact me!